Being a big fan of Play-Doh, Grace would not say NO when she sees Play-Doh, and being a full time working mum, there are times where I need to think how to get a suitable toy for her to enhance her creativity. This year, Play-Doh is celebrating their 60th Anniversary and I am glad to have this to accompany my daughter. Do check out this video where 60 celebrities and influencers wishing Play-Doh Happy 60th Birthday: http://www.hasbro.com/en-my/brands/playdoh/videos?bctid=5167597633001. Whenever I bring Grace to shopping malls or Toys “R” Us, the first item that she will choose is Play-Doh. 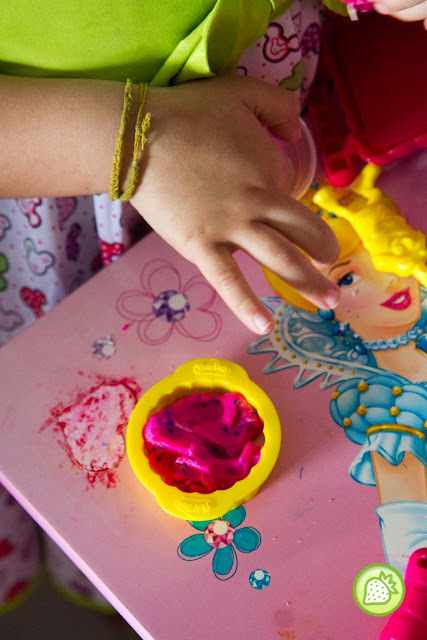 Play-Doh is not just a normal dough but it is something which I am not worried when my kids play with it. 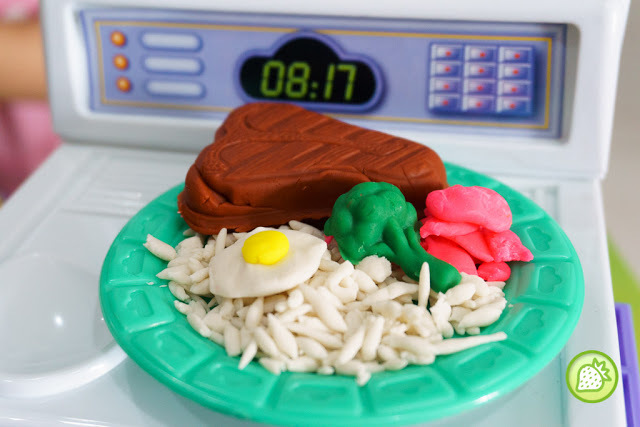 Play-Doh is made from natural ingredients which are primarily a mixture of water, salt and flour. 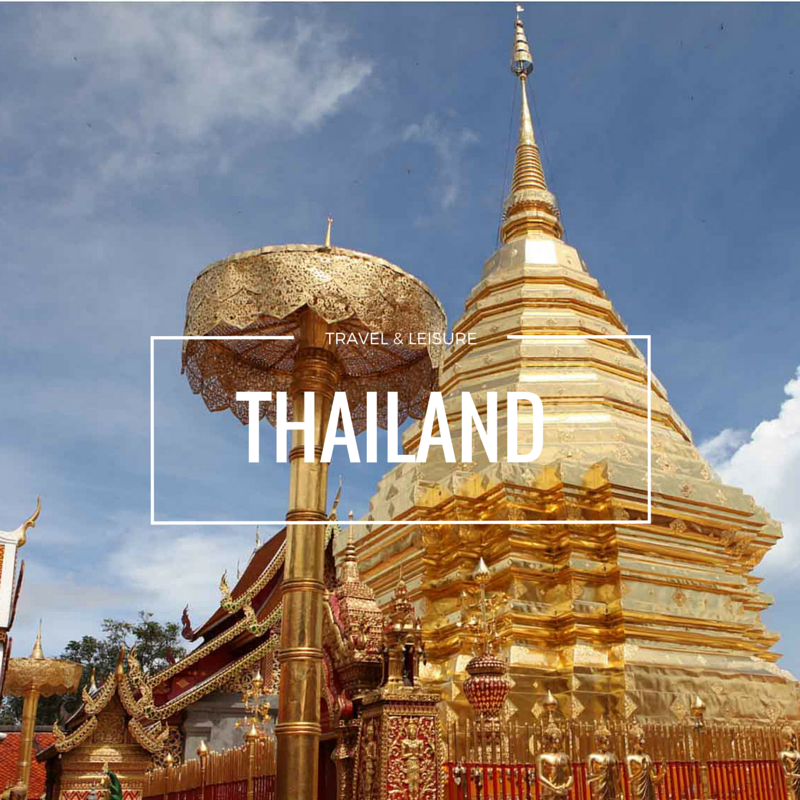 It does NOT contain peanuts, peanut oil, or any milk by-products. It DOES contain wheat. With the natural ingredients being used, I am sure that it is safe for my daughter to play with it. In these few years, Play-Doh has been getting creative with their products, where they come up with great activities with the children. It is not just about kneading the dough but with different themes such as Disney and Play-Doh Town. 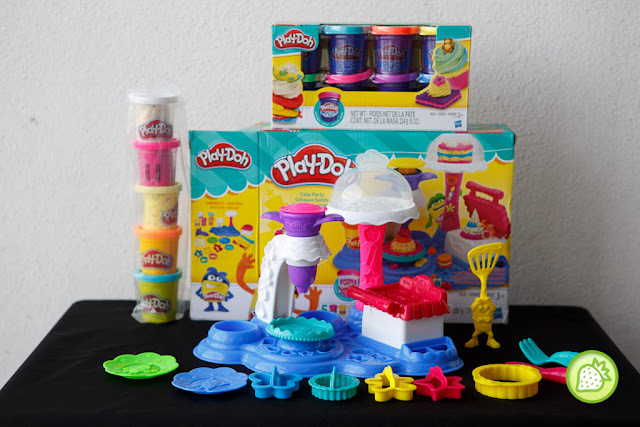 Being a big fan of Play-Doh, we actually bought various sets before and this time, looks like we will be having some fun time making cupcakes. 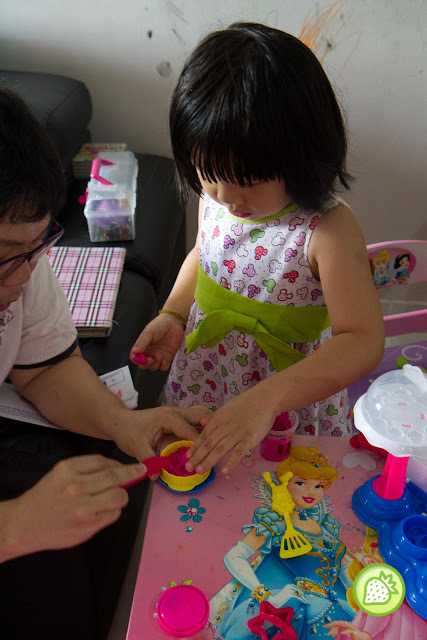 Grace loves making cupcakes and as parents, we love having a fun play time with her as well. Playing with Play-Doh increases our family bonding time with one another. 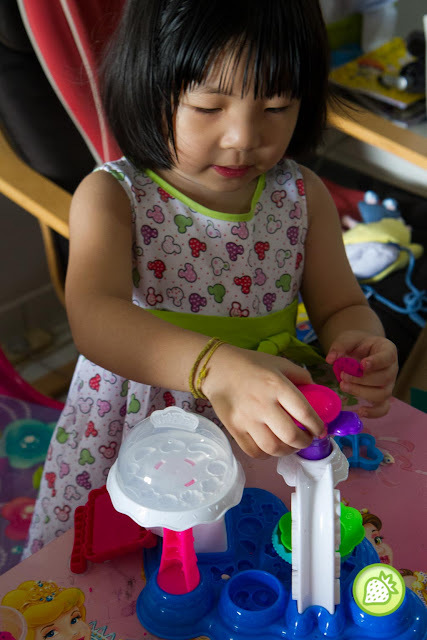 It is not just about fun, but Play-Doh enhances her communication skills and builds her confidence level along the way, when we asked her questions and vice versa. 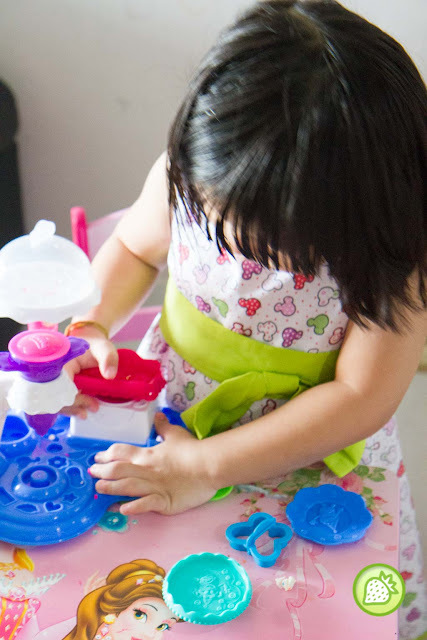 By playing with Play-Doh, it also increases her creativity, where she needs to imagine on what she should be making and how she can turn the Play-Doh compound into cupcakes. 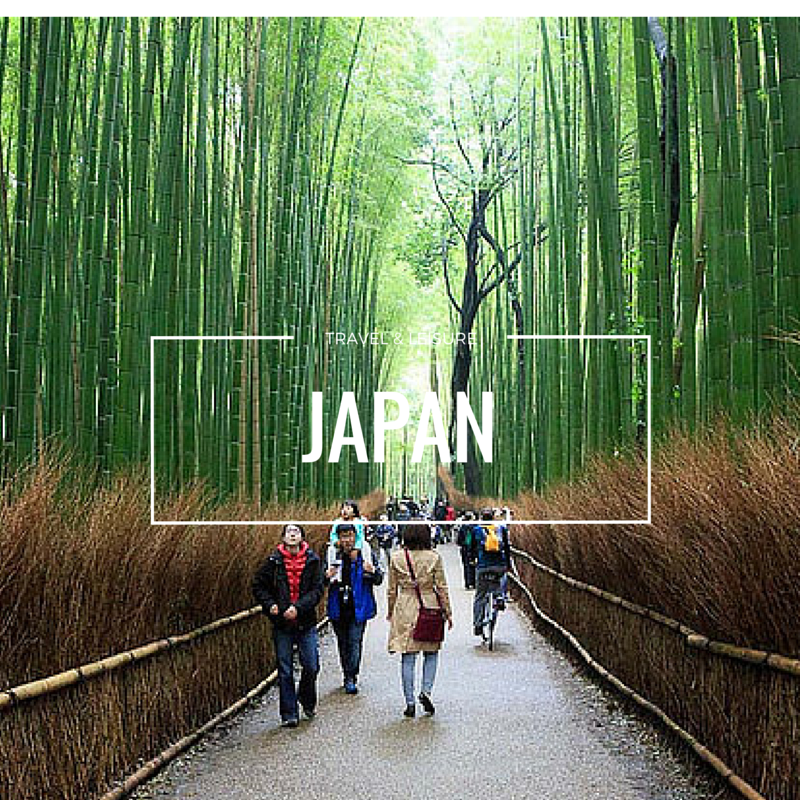 Besides, it helps her to identify and learn about different colors. While she’s making the entire cupcake on her own, the process allows her to improve her fine motor skills by strengthening her hand muscles and developing hand control. Look what she made from the combination of different Play-Doh sets. We want you to have the PLAY-DOH experience too. 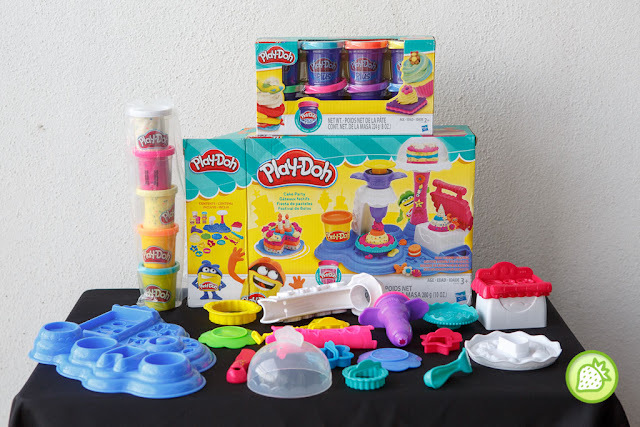 We are giving away 1 (ONE) PLAY-DOH CAKE PARTY set (worth RM99.90) to ONE lucky reader.